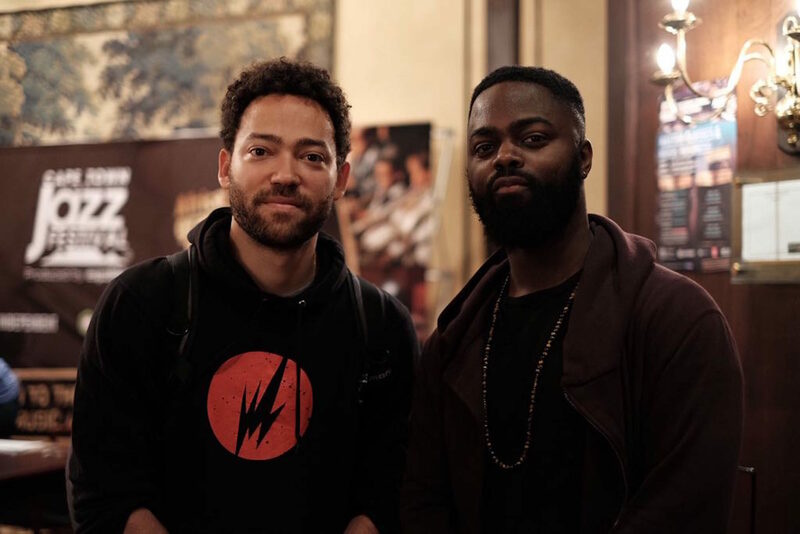 Producer, keyboardist and creator of the magical 2014 album Early Riser, Taylor McFerrin and his partner in crime, drummer Marcus Gilmore have just arrived in South Africa for their first live show at the Cape Town International Jazz Festival. After a long flight, a quick burger stop and a buzzing masterclass, we caught up with them to find out what we can expect at tonight’s show. So you guys have both grown into music with, let’s not say ‘big shoes to fill’ but big legacies behind both of you in terms of your families. What’s it like to come from that, going into the world while making your own way? Taylor: To some degree as a kid, you grow up around that but you don’t know any different. So I grew up going to concerts with my dad; those are my earliest memories… backstage hanging with all those musicians. That environment has always been normal to me. As I got older and tried to make a name for myself, people are constantly asking me about my dad, but honestly it feels like this is what I’m supposed to be doing. Both my parents were always very supportive, especially when I’m touring the world and playing all these venues my dad played. It’s all been super positive. Marcus: Obviously I wouldn’t even be playing if it wasn’t for my family. They were the first ones to inspire me and my first teachers. It also helps when they’re all *so* encouraging because even I have friends who came from a musical background but never really had the support so I never take that for granted; I’m grateful for having been supported musically. Alright, and since we’re on the subject of support, we’ve seen the Emily Kings, we’ve seen the Nai Palms and all these wonderful features throughout adding their various flavours to your productions. Who can we expect a little something something from down the line? Taylor: I can’t really say anything yet, because if anything goes wrong I don’t want to disappoint any of you. But I can say I’ll be doing a lot more vocals myself in the next project. That’s right, the last time you did your own vocals was on Florasia off of Early Riser, and that was the only track off the entire album, correct? Why haven’t you explored that up til now? Taylor: That’s correct. I was always the producer working with vocalists, and that was always my lane… but on Florasia I felt like I needed to have a song in there for my wife. I had to! Gotta sing on a song specially for her. That’s her nickname, and I really dig that tune so I would love to do more of that on the next record for sure. Looking forward to that! You have got the pipes so it only seems natural. And you Marcus, have you ever thought about crossing lanes and chasing down something outside of drumming? Marcus: I’ve never really… well my lady tries to get me to sing… I used to sing when I was young but it was easier then, now that I’ve grown up and started thinking too hard about it! I’m definitely working on a lot music though, with Taylor as a part of it as well. It’s a combination of recording over the last couple of years and a lot of people are involved like Melodious Fly, Chick Corea… it’s pretty experimental. I can’t really give it a genre but I can’t wait to see it come together.